Are you coming to the Portuguese capital soon? 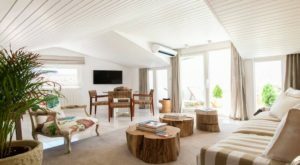 Here are the best areas to stay in Lisbon, and where to book your accommodation. A « world city » listed as one of the world’s most influential globalised cities, Lisbon is the largest city in Portugal, extending over an area of 85 km². Though the metropolis is almost as big as Paris, it has four times fewer inhabitants. 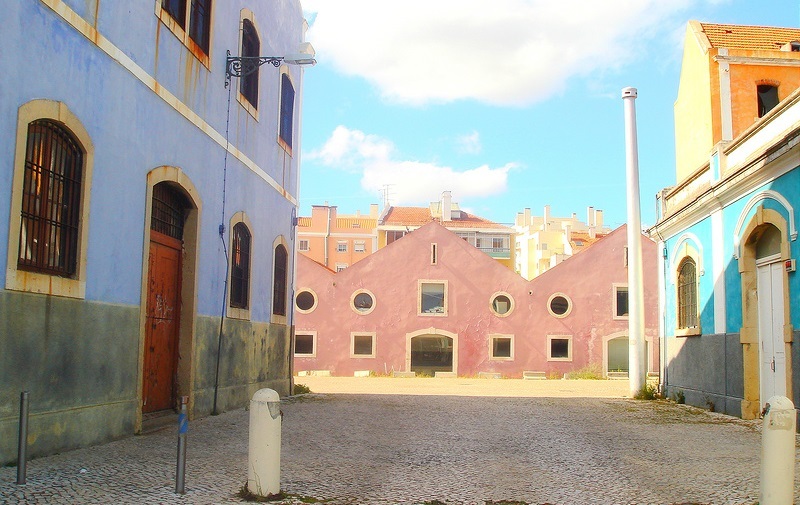 These figures promise a rather pleasant living environment for Lisbon’s inhabitants. First inhabited during the Neolithic period, Lisbon is Europe’s westernmost capital city, and boasts a breathtaking historical and cultural heritage. If it’ your first time in the city, you probably have no idea where to stay in Lisbon. Would you fancy staying in the historic district, in the chic districts, or closer to more laid-back areas, alternative bars, Michelin-starred restaurants, or high-end boutiques and luxury shops? 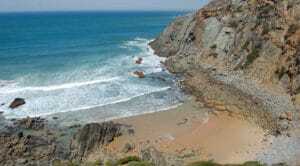 What follows is a brief presentation to help you find the best area to stay in Lisbon. A few steps away from where most of Lisbon’s nightlife can be found, this historic district is a favourite haunt for tourists. It was completely rebuilt by Sebastião José de Carvalho e Melo – Prime Minister under Joseph I of Portugal from 1750 to 1777 – after the devastating earthquake of 1755, which decimated nearly 25% of Lisbon’s population. It is therefore a relatively “recent” area, distinguished by its perpendicular streets, and an urban configuration that differs from other districts. The area is home to beautiful squares, interconnected by long avenues lined with majestic 18th century buildings. Baixa, with its large hotels and small cafes creating a welcoming atmosphere, is definitely a tourist favourite. And for good reason: the district is very central, close to the Praça do Comércio and Saint-George Castle, from the banks of the Tagus to the Avenue of Liberty. Admire the ruins of the Carmo Convent, destroyed after the earthquake, and never rebuilt. Augusta Street, very busy and so often photographed, speaks for itself. This neighbourhood, despite being densely populated and rather noisy, is always a pleasure to visit. 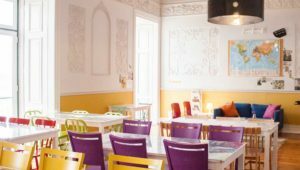 With its nightlife to the west – Bairro Alto -, and cultural attractions to the east – Alfama -, a plethora of restaurants, shops, and bars, this is one of the best places to stay in Lisbon. 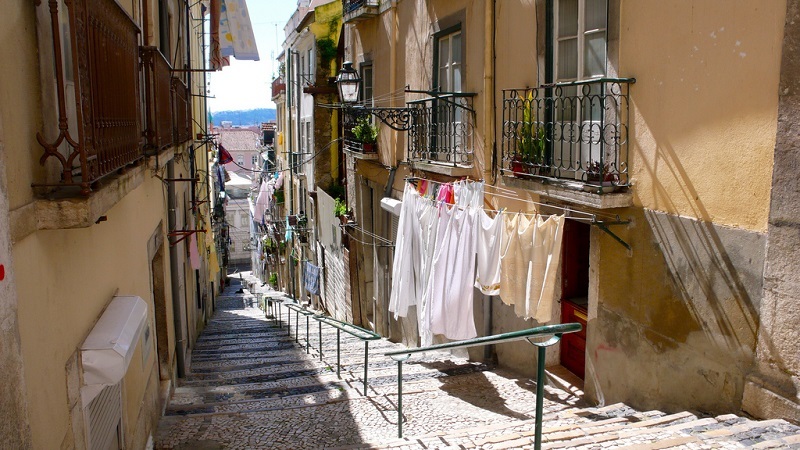 Traversed by a maze of small intertwining alleys, Alfama is Lisbon’s oldest district. Connecting São Jorge Castle’s hill with the Tagus estuary, this enchanting entanglement of quaint streets also happen to wind along most of Lisbon’s historical monuments: the Sé Cathedral, the St. George Castle, the National Pantheon and St. Anthony’s Church, for example. The name “Alfama”, derived from Arabic, literally translates as “a thousand sources”. Once populated by sailors and port workers, the neighbourhood used to be considered ill-famed. Nowadays, the neighbourhood’s trendy and contrasting atmosphere owes much to the slow process of gentrification which transformed the area. 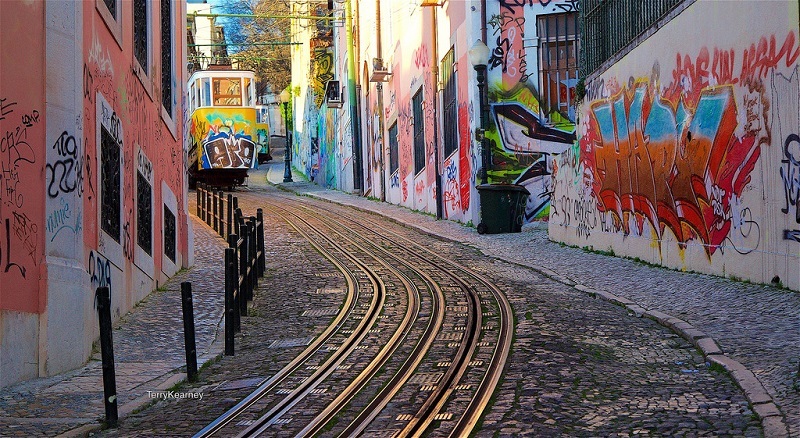 Here you can hop on board the city’s famous yellow trams from the 30s – the line is not adapted to modern trams – to meander from Graça to the Baixa. Don’t miss a visit to Lisbon Castle, and climb to the Santa Luzia lookout point to get a breathtaking view of Lisbon. 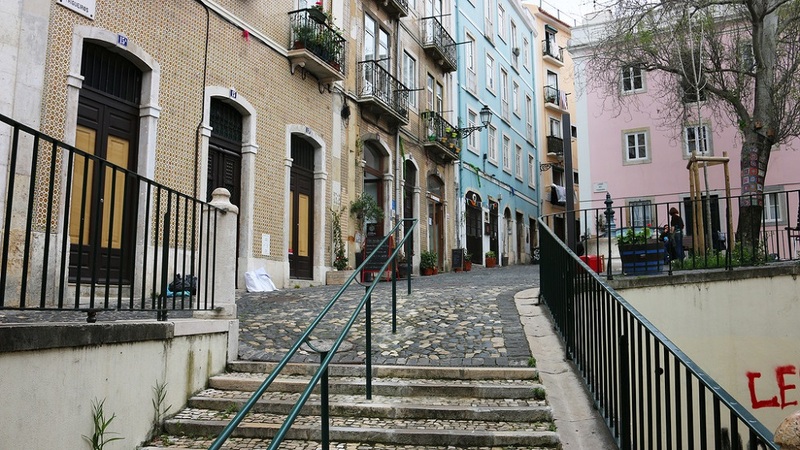 A former working-class area, Alfama is said to be the birthplace of fado, an emblematic Portuguese music genre. During the day, the Bairro Alto district can seem rather dull at first glance. There is not much to do or see, except perhaps the Church of Saint-Roch, or the occasional play on show at the Bairro theatre. It is only at dusk that you begin to see the streets come to life, taken over by the Portuguese youth, and thirsty party animals who meet in countless small bars to celebrate all night long. Accessible via Baixa-Chiado’s underground station, this district is perched on a hill, overlooking the rest of the city. Bairro Alto’s unique charm owes much to the party bars where you can move and groove to the sound of fado, as well as other cafes with a more intimate atmosphere. In the evening, the paved streets are packed with both the young and the not so young, including foreigners and locals. If you enjoy beer, wine, and to party until dawn after extending your aperitif, this area is a good choice to stay in Lisbon. On the other hand, you should opt for quieter streets if you are with your family, or if you are seeking a more relaxed atmosphere. Located between Bairro Alto and Baixa Pombalina, Chiado has been inhabited since Roman times. Filled with shops of all kinds, it is a rather chic neighbourhood. People come here to buy books, clothes, and enjoy the sunny terraces. 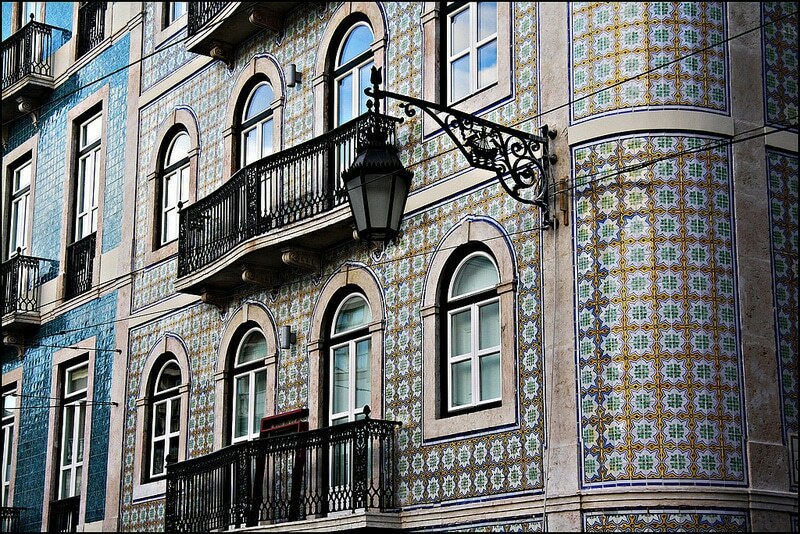 Known for housing a number of theatres and museums of all kinds, the area is arguably Lisbon’s most cultural district. Among the many available attractions, you can attend an opera at the Teatro Nacional de São Carlos, Lisbon’s main opera house. On sunny days – not a rarity in this part of the world! – enjoy a stroll in the Jardim de São Pedro Alcântara, an elevated green space boasting splendid views of the city centre and its hills. The name of the area comes from « Bethlehem », which gradually became Belém over the course of History. 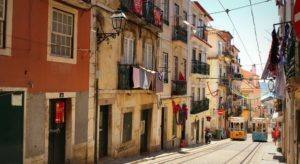 Historically, this area has been the home of Lisbon’s bourgeoisie and upper classes who – before gentrification – fled the debauchery of the poorer neighbourhoods where the working classes worked and demeaned themselves. The area is mostly famous for its eponymous tower: when you visit Lisbon, you cannot miss Belém tower, six kilometres west of the city centre. It was here, on the banks of the Tagus, in the ancient harbours of the 15th and 16th centuries, that the great explorers took off to sail unknown waters and discover the world. If you are fascinated by modern history, you should definitely consider staying in this area in Lisbon. Among these great navigators, the famous Vasco da Gama (1460 or 1469-1524), sailed from here to India in 1497. In this area you can also visit the Monument of the Discoveries and the Jerónimos Monastery, built in tribute to the aforementioned navigator. Other must-sees and essentials in the neighbourhood include the Belém Cultural Centre, the Museum of Modern and Contemporary Art, the National Coach Museum, the National Museum of Belém, the Naval Museum, the Monument to the Overseas Combatants, the Imperial Square garden, and a taste of the famous Pastéis de Belém (iconic Portuguese pastry). With its numerous gardens and promenades, Belém can be very busy, especially in summer, but it is a very good area to stay in Lisbon, away from the hustle and bustle of the city centre.